The elegant Snowy Egret emerges hesitantly into the open. 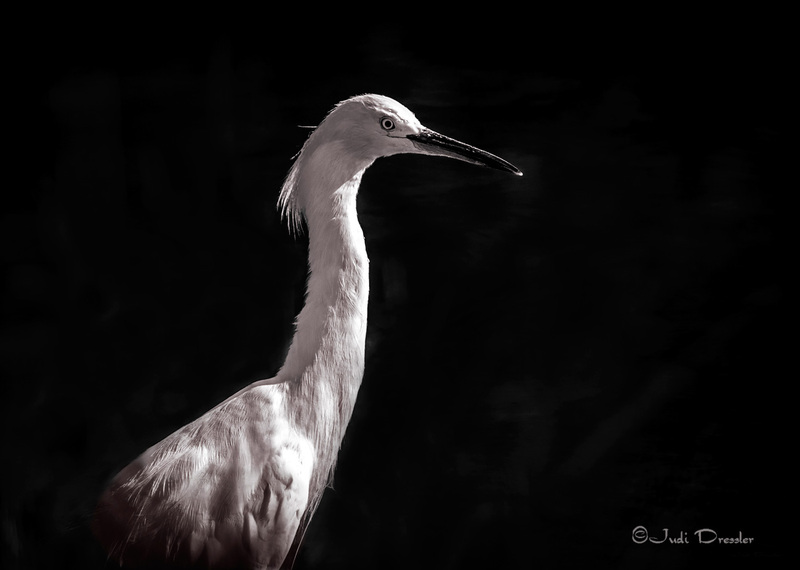 I had just wandered into a little alcove of a pond and surprised this egret — I should say we surprised each other! I have always loved the elegance of herons and egrets, walking or flying. I played around a bit with this photo, to bring it out in black and white. Belmar Park, Lakewood, Colorado, Fall, 2016.